This past year, I gave a presentation about Silicon Valley to professors at Senshu University in the suburbs of Tokyo. After discussing with my professor what would be the most valuable information to share about Silicon Valley, I decided to talk about the innovative ecosystem in Silicon Valley that fosters groundbreaking technology. Enjoy this presentation-turned-article, replete with intriguing details. With access to top universities such as Stanford, favorable governmental policies to launch new businesses, technological infrastructure, availability of capital, and an abundant amount of amenities, Silicon Valley has the fundamental building blocks to succeed. Coupled with its unique culture of promoting failure, motivating employees both extrinsically and intrinsically, building end-to-end user platforms, enabling collaboration, thinking big, encouraging diversity, inclusion, and social-conscientiousness, and finally, having a customer-first mentality, it's no wonder that Silicon Valley has become the preeminent location for developing groundbreaking technologies. The goal of this article is to shed light on the cultural and environmental factors that have fostered Silicon Valley's development as an incubator for groundbreaking technology. Readers should walk away with a deeper understanding of Silicon Valley's success factors. 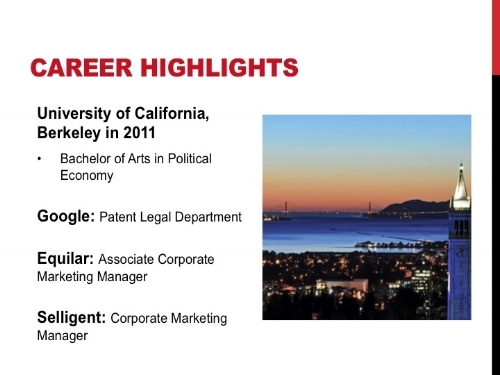 I was born and raised in San Francisco, and graduated from UC Berkeley in 2011 with a focus on Political Economy. While studying abroad in my sophomore year in Cordoba, Spain, I conducted 3 Skype interviews and successfully landed my 1st of 2 summer paid internships at Google. This led to a wonderful, full-time job working on the Patent Legal team. Knowing that I did not want to become a lawyer, I decided to work at a smaller technology company, doing everything from writing press releases to sending customized, marketing emails to over 15,000 people. Working at a smaller technology company, allowed me to wear many hats — trying everything from writing sales pitch-decks to lengthy research reports. Moving into a brand new role was definitely a risk, but well worthwhile, as I was able to advance my career at an accelerated pace compared to my peers. Starting in April 2016, I took on a brand new challenge — moving to my mother's home country of Japan to not only learn more about half of my heritage, but also research women's empowerment and entrepreneurship at Kyoto University, as a grateful recipient of the Monbukagakusho Scholarship. Shortly after arriving, I began interviewing and writing articles about the life stories of 19 female founders in Japan — all of which have been published on this website. Through these one-on-one interviews & reading books and papers, I have gained a wonderful wealth of knowledge about what its like to start a business in Japan from a woman's perspective. And now, I am pursuing my Masters Degree in Economics with plans to graduate in September 2019. While most people think Silicon Valley is in a contained area, and therefore, not that big, it actually consists of more than 20 cities, including San Francisco, San Jose, and Redwood City. Without traffic, it takes approximately ~45 minutes by car to drive from San Francisco to Palo Alto, but with traffic, it could take upwards of 2 hours. Historically, Silicon Valley has been the center of major technology breakthroughs such as Xerox PARC for early computing technology, and ARPANET — a government research institution at Stanford that helped develop the Internet. In addition, the CA government offers favorable legislation for launching new businesses. Due to Silicon Valley's historical infrastructure of government and research institutions collaborating with each other to develop new technologies, and its favorable government policies, Silicon Valley is well-equipped to become the global hub of innovation. Not only does Silicon Valley house both Stanford and UC Berkeley — two top research intuitions, but it also boasts incubators, accelerators, and many co-working spaces. Incubators are basically launchpads for new companies, with communal workspaces, access to mentors, investors, and countless networking opportunities. Y Combinator is one of the largest & most prestigious incubators in Silicon Valley. Twice a year, it hosts “Demo Day,” where all the new companies pitch their ideas to investors. Due to the sheer concentration of top technology companies such as Google, countless incubators and accelerators, and more, there's also quite a large number of role models and potential mentors such as Jack Dorsey, Larry Page, Tim Cook, Elon Musk, etc. The best attract the best. And with an abundance of networks, there's also an incredible amount of investment wealth and top talent. After China and the United States, California houses the 3rd highest number of billionaires in the world. Silicon Valley also boasts an astounding 18,000+ angel investors, who invest in high-risk, high-reward startups. With regards to Venture Capital funding, Silicon Valley has an estimated $8.5 million in San Francisco, with another $4.8 million in San Jose, totaling over $13.3 million in Silicon Valley. Consequently, Silicon Valley has ~20% of all Venture Capital funding in America. That's preposterous! People from all over the United States and the world, are attracted to Silicon Valley's dynamic environment, high salaries, and a chance to create groundbreaking technology. I've attended parties where there were only Indian male and female engineers — all of whom worked at one of the top technology companies such as Google, Microsoft, or Apple. And not only does Silicon Valley have a diverse array of people from all over the world, but it also has a higher concentration of males. Most men you meet at networking events, are engineers and / or CEOs. And almost everyone — regardless of their gender — is working on a side project, separate from their full-time job. For instance, I attend classes and research about women's empowerment and entrepreneurship in Japan at Kyoto University, but I also publish articles related to my research on 3 different websites. Along with having one of the highest concentrations of wealth in the United States, Silicon Valley also boasts world-class amenities. 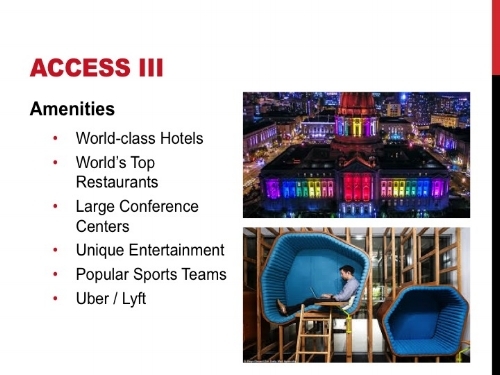 Not only does it have top restaurants that are difficult to reserve, and sometimes also cost a minimum of $400 per person like Saison or French Laundry, but we also have a diverse array of unique entertainment options like San Francisco Gay Pride Parade, Burning Man, Bay to Breakers run, and weekend block parties in various neighborhoods around town. Beyond parties, restaurants, and events, Silicon Valley also offers large conference centers and a wide array of hotels or Airbnbs. Plus, with Lyft and Uber — both of which were started in San Francisco, and still headquartered there — visitors can get around the valley, easily and efficiently. And of course, Silicon Valley also has many popular sports teams such as the 49'ers, Giants, or Warriors. Now that we've talked about how Silicon Valley attracts top talent from all over the world, offers world-class amenities, and provides access to an unfathomable amount of investment money, let's transition to what characterizes this unique culture. Because of course, it's not just enough to have a good environment for technological breakthroughs — you also need the right mindset to foster innovation. One of Facebook's company values is to “Move Fast,” meaning they encourage all employees to build things quickly, learn fast, and be okay with making mistakes. In fact, Facebook doesn't want it employees to lose out on opportunities by moving too slowly, so they'd rather try and fail, than never try at all. This is one of the most important cultural aspects of Silicon Valley — its ability to embrace failure by learning from mistakes. And its preference for taking a risk, rather than doing nothing at all. After all, Silicon Valley folks are all about taking action to increase the chances of successful endeavors. Jeff Bezos of Amazon actively promotes making mistakes and failing within his company. In fact, he even made the bold statement that “Amazon is the best place to fail at!” Why? Because the company actively promotes taking risks and failing fast to create innovative products. Even with 1, 2, or 10 failures under their belt, engineers and other employees are still determined to succeed no matter what. In essence, failures don't matter. It's all about what you learned from making those mistakes. They keep going no matter what, through all the ups-and-downs of working in a highly volatile environment. After all, the technology industry changes almost instantaneously, and its impossible to keep on top of all the latest innovations. That's why it's so fascinating! But most importantly, people in Silicon Valley truly enjoy the thrill of taking on a new challenge. The most innovative and creative people in Silicon Valley would rather be busy taking on something new that has never been done before, than doing routine, busywork. Yet another interesting aspect of Silicon Valley, is its love for building platforms such as Amazon Prime, Apple iCloud, and Google Apps. Instead of building just one product, Silicon Valley companies are creating an entire suite of products that are hosted on one, uniform platform. The best example in the entire world though, is China's WeChat platform, which allows users to book a taxi, pay for meals at most restaurants, invest in personal finances, order items from Alibaba, send money and gifts to friends, get their laundry dry-cleaned, read books, discover local discounts, pay bills, and much more. It's all available in one application, which would be unfathomable in the United States, because of privacy and security concerns. But it's quite impressive that China has built such an inclusive platform that benefits both the end user and the strong Chinese government. Silicon Valley promotes collaboration across companies, and most importantly, within companies. For example, Google created large, open lunch tables to foster spontaneous collaboration. And every year, Google hosts a “Bring Your Parents to Work Day,” as well as a separate one for children. Plus, Google also offers free breakfast, lunch, and dinner, as well as free gyms and many fun, group-exercise classes like Cross-Fit, Pilates, TRX, and more. All of these perks are a way for employees to create spontaneous, new relationships for both work and for pleasure. At technology companies, strong leaders promotes an environment where everyone pitches in, and gets their hands dirty to help the entire company. For example, the CEO at one of my companies also took out the trash, along with everyone else. Because there were only 15 employees, everyone had to help out wherever they were most needed at the time. Startups also tout collective unity, or working together on something challenging that will positively benefit the world. The ability to work remotely — anywhere between 10% and 100% of your time — is offered at most technology companies. Due to the extensive availability and use of online collaboration tools, remote working became an attractive selling point for companies, and a well-accepted business practice, particularly within global technology companies. For example, my engineering colleague at one of my previous companies, spent countless hours on the phone with our outsourced engineering team in India. Without the ease and accessibility of online collaboration tools, our company would not have been able to create this opportunity. Regarding remote work, I personally took at least 2 days per month to work from home. Plus, at every single company I worked for, I had the ultimate flexibility to leave work early or arrive late, if I had a doctor's appointment (without having to bring any proof that I was there, unlike typical Japanese companies). If you were hired at the technology company, there was generally a sense of trust that you would not take advantage of remote working and flexibility. But of course, you had to first earn the trust of your boss and colleagues in order to take advantage of these types of company perks. Remote and flexible working schedules are one of the key factors to retain more women in the Japanese labor market, which I will explain more in a future article. Companies and independent organizations sponsor hackathons for a random group of people to come together and solve a major problem, or create something new, for 24- to 48-hours. While hackathons were originally created with the intention of creating new engineering feats, now people in all industries use it such as fashion, film, etc. A very important concept in Silicon Valley, open source and open innovation are actively endorsed by engineers, who want more access to proprietary technology to develop the next big thing. Top talent is motivated to work in Silicon Valley for both intrinsic and extrinsic reasons. But companies prefer to advertise the intrinsic benefits of working at top technology companies. Extrinsic motivators are external factors that drive behavior, such as extraordinarily high salaries, stock options, a company's brand, company perks, and personal awards or praise within the company. For example, Google offered “peer bonuses.” Employees could nominate a colleague to receive a monetary reward of $500 for going above-and-beyond their designated role to help another employee or the team. Once the managers of both parties approved, the lucky employee received a monetary award. Intrinsic motivators are driven by internal rewards and are another important reason why top engineers and talent are attracted to Silicon Valley. For example, many top engineers work in Silicon Valley because they want to shape the path of innovation, work on something they have never done before that is challenging, play a meaningful and significant role in the business, and explore unchartered territories. Amazon is one of the most fascinating companies in this arena, as it focuses on fulfilling the customer's needs. Besides the fact that Amazon's entire leadership promotes “customer obsession,” Amazon also does something unique for product development — the product lead writes a PR FAQ. Amazon's PR FAQ is written as if the new product or service was already released into the market, even though it hasn't even been developed yet. Written from the perspective of how it benefits the end user, the product lead has to start thinking about how to help users from the very beginning. Basically, product leads start with the customer and work backwards. Amazon doesn't just talk about being a customer-first company, it puts it into practice. This type of design is all about thinking from the perspective of the end user to make the product as seamless, user-friendly, and intuitive as possible. In my opinion, I think Apple has done a phenomenal job with this for all of its hardware products. Another great example is, the extreme simplification of the search bar by Google. When the company was struggling financially, the founders (who were also designers) decided to create election-related, cereal boxes for PR and much-needed income. Although it was completely different from their main business, it not only generated much-needed PR, but it also helped the founders create one of the best rags-to-riches, founding stories ever. And the story helps instill the idea of being a “cereal entrepreneur” with every employee. Plus, if anyone were to forget, there are large-scale replicas of the original cereal boxes at the Airbnb Headquarters. The company actively promotes thinking bigger than what's currently possible, inventing and simplifying for users, and having a bias towards action, rather than over-thinking and over-worrying. As a result, they often fail and famously didn't make money for years, but they also created a wide array of profitable products and services, similar to Google. Who remembers Google+ or Google Glass? Both were considered to be “failures,” but Google's other risky endeavor — self-driving cars — seems to be the path for the future. Needless to say, Silicon Valley's emphasis on thinking big and attempting to put the craziest ideas into practice, means they do a fantastic job of launching groundbreaking innovations and new technology. Another major aspect of Silicon Valley's culture, is its openness to extremely diverse people and ideas. On our recent Kyoto University research trip to Silicon Valley, Airbnb had gender-neutral bathrooms on its campus. In an effort to help each employee feel like they truly belong, Airbnb works hard to create an atmosphere where every single person is very comfortable being exactly who they are. Apple, Amazon, Airbnb, and Google all provide transparent, diversity statistics on their websites, so that they can show where they are now in terms of racial and gender diversity, and what positive steps they are taking to improve workforce diversity. Almost all technology companies are actively working on creating a more inclusive and diverse workforce to embrace people from all backgrounds, and therefore, foster new ideas. For example, Google had one engineer, who dressed 100% in purple, had purple hair, and only roller-skated around campus. Of course, he stood out, but he was 100% accepted within the community! Because people who work in tech, generally favor an atmosphere, where they can dress however they please, and truly be themselves, all of the major technology companies also promote a “no dress code” policy. All technology companies also offer a wide array of employee resource groups to help people from similar backgrounds find a safe place to discus important issues, organize community volunteer events like the San Francisco Aids Walk, or make new friends. A few examples are Glamazon for LGBT people at Amazon, Gayglers for LGBT folks at Google, Able@ at Airbnb for people who have disabilities, or Greyglers for 40+ aged employees. Facebook's Sheryl Sandberg wrote a book called Lean In, which became an instantaneous, worldwide success, and brought the topic of gender equality and inclusion into the forefront. Propelled by the success of Lean In, an entire nonprofit was created to promote women's empowerment initiatives such as a public awareness campaign called #SheMeansBusiness with Facebook, and a 222-company survey about women in the workplace in partnership with McKinsey. Beyond these initiatives, Facebook also offers the best parking spots to pregnant woman on its headquarters campus — something I wish that all companies implemented. Plus, Facebook offers all parents 4 months of paid leave to take care of their newborn child. One final element that makes up Silicon Valley's unique culture, is its promotion of a socially-conscious work environment. For instance, Google offers employees a few a days per year to get paid to volunteer in the local or global community! And Airbnb even includes “Caring for Others,” as part of its company values. Almost all Silicon Valley companies promote a flat, informal hierarchy with fewer leaders on top. To foster collaboration and a sense of community, many CEOs promote an “Open Door” policy. This means that any employee can walk into the CEO's office — when they are not busy — to ask whatever their heart desires. For him, this meant that employees are “sincere, passionate, and heartfelt” about protecting the user's voice and always acting in the best interest of the user. Finally, global technology companies such as Google are running creative programs like Women's Will to help women in Southeast Asian countries learn how to work more efficiently, start companies, or get back into the workforce, which is a major need in Japan. Since many Japanese women leave the labor industry when they get married, have children, or have to take care of elderly family members, they have extreme difficulty re-entering the workforce and often end up in low-paying, part-time jobs with no benefits. As such, Google has created both online and offline tools to help women get back on their feet quickly! In conclusion, let's review the main takeaways about Silicon Valley's innovative ecosystem. Access to top talent, investment capital, and powerful networks. Thank you very much for reading this entire article. Enjoy other articles, featuring women entrepreneurs in Japan.